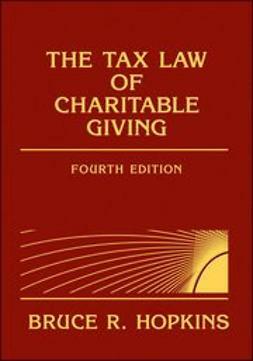 The Tax Law of Charitable Givingis the leading guide to the law, rules, and regulations governing charitable giving. 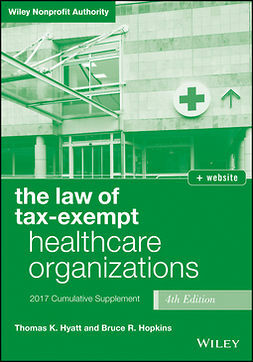 Author Bruce R. Hopkins is the most respected authority in the field; in this book, he provides a comprehensive update on the latest changes to the law, new Treasury Department regulations, and much more to help lawyers, managers, and development directors in tax-exempt organizations stay up-to-date onallregulations pertaining to charitable gifts. The companion website provides additional tables, appendices, IRS guidelines, and other useful documents to help nonprofits make fully informed decisions about their fund-development programs. As quickly as tax law evolves, it remains the nonprofit's responsibility to stay up-to-date and compliant with all relevant regulations. This book provides a definitive reference for the latest changes, new laws, and upcoming legislation to provide an accessible one-stop reference. Charitable gifts are the cornerstone of the nonprofit organization's support, and American taxpayers give more than any other group worldwide. 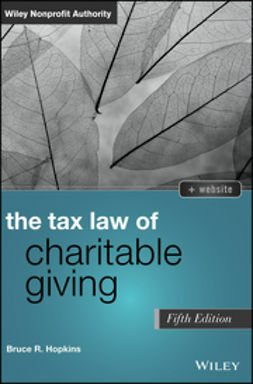 The rules surrounding these gifts are complex, but compliance is critical to the health of the organization.The Tax Law of Charitable Givingprovides an authoritative reference for all aspects of the law, with the most up-to-date information available anywhere.